Next time I cross the Atlantic, I shall stop a moment to reflect on everything that’s happening in the background to make this possible. AeroSavvy has a great post explaining how the North Atlantic Tracks system works. Dated instances of the word “Colonialism” in 82,000 books indexed by the Internet Archive. The Anatomy of a Tweet. Unsurprisingly, a tweet is composed of much more than 140 characters. There’s a scary amount of metadata coming along with it. Serialization formats are not toys. Things to watch out for if you are building a web application that takes YAML, XML or JSON input. Watch it even if you don’t: being aware of how easy it is to break software is sobering. 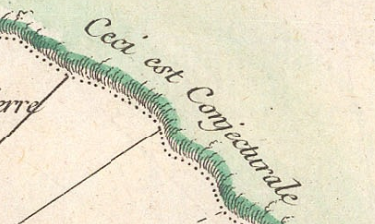 Excerpt from Bellin’s Carte Réduite des Terres Australes, 1753. But the truth is that cheap design is cheap design whatever the material. Steel can be used in good or bad design, as can wood or bricks, but it is only with concrete that the epithet of ‘ugly’ has stuck. There is nothing intrinsically poor about the aesthetics of concrete.